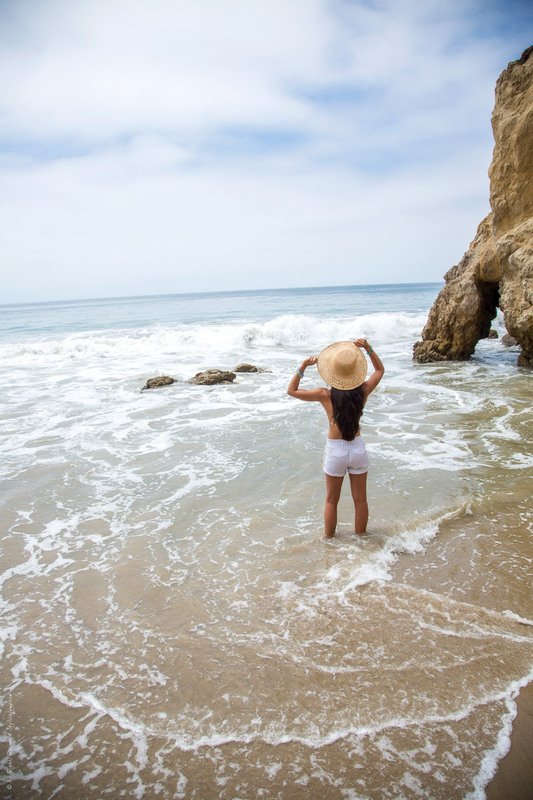 While in Southern California Peter and I had the opportunity to visit many gorgeous California beaches and one of them was El Matador Beach. 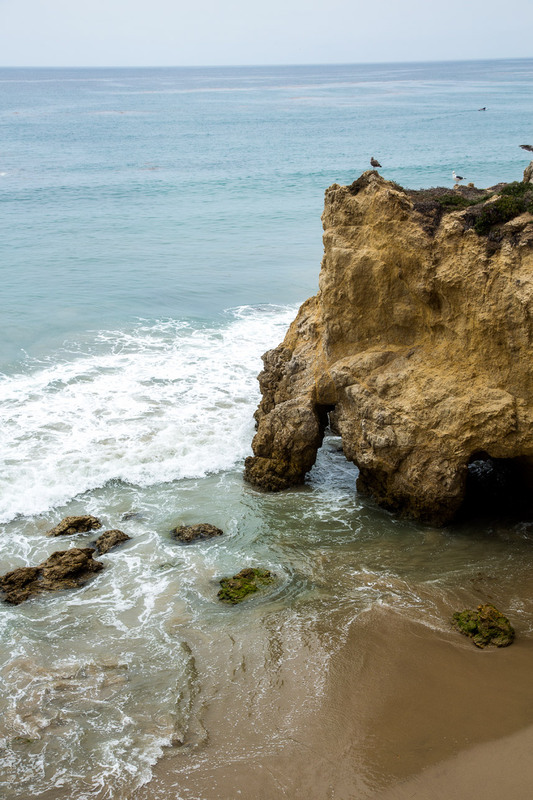 El Matador Beach is located off of the Pacific Coast Highway near Malibu California. This cliff-side beach is filled with caves and massive rocks sprinkled along the beach. There is an option to park close to the beach, but the parking lot is tiny! I mean tiny! So you’ll most likely need to park on Highway 1 along the sides of the road. That’s where we parked and walked along the edge of the road to get to the beach. Before you get down to the beach along the way down, there are picnic table where you can sit and enjoy the breathtaking view. That’s how we captured the photos from above. The path down to the beach is a steep dirt path as you can see in the photo from Instagram below. Once you get past that steep path, you’ll end up in a staircase that leads you down to the beach. 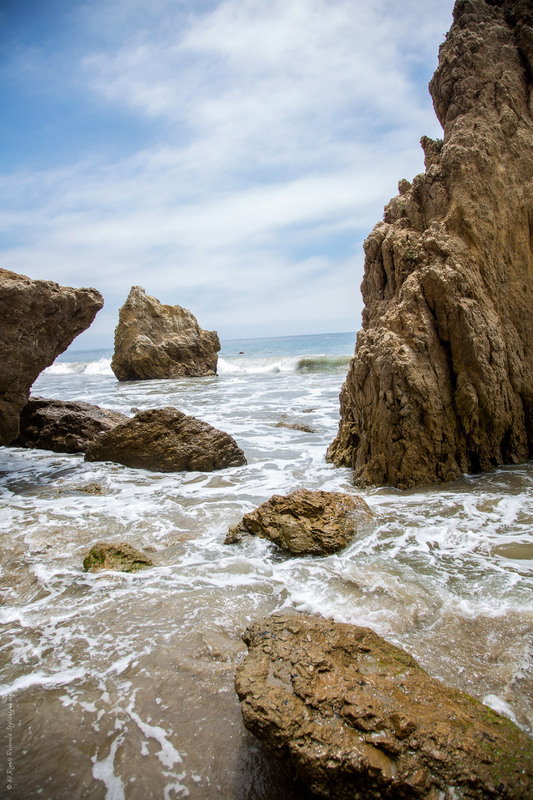 As you walk along El Matador Beach, you’ll notice beach caves and large rock arches. When we arrived at the beach, end of July, it was filled with people. Families, couples, young and old were enjoying a sunny day at the beach. 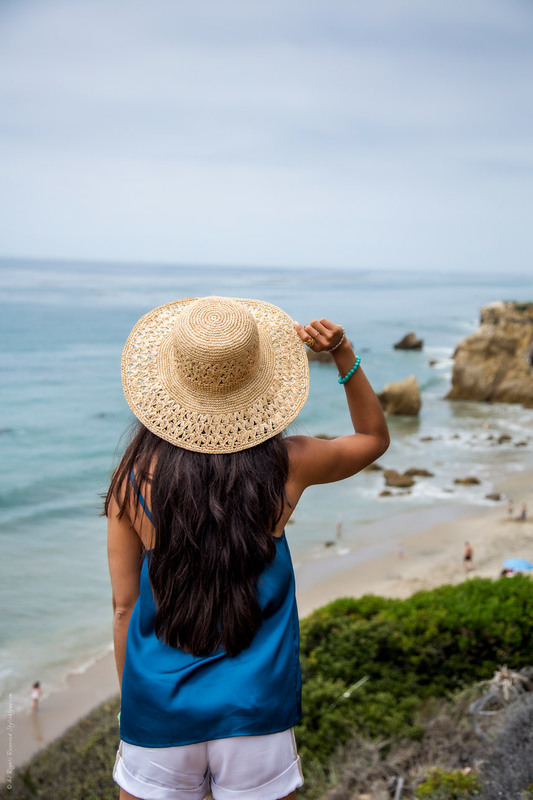 The best part about El Matador Beach is, of course, the caves and rock formations so make sure you take some time to enjoy this magnificent location. No alcohol allowed. When we were walking back to our car, there were some police officers pouring out alcohol that some individuals tried to bring to the beach. So note that the area is patrolled, don’t try to be sneaky. The beach sneaks up on you so make sure you know where to turn out on the Pacific Coast Highway. 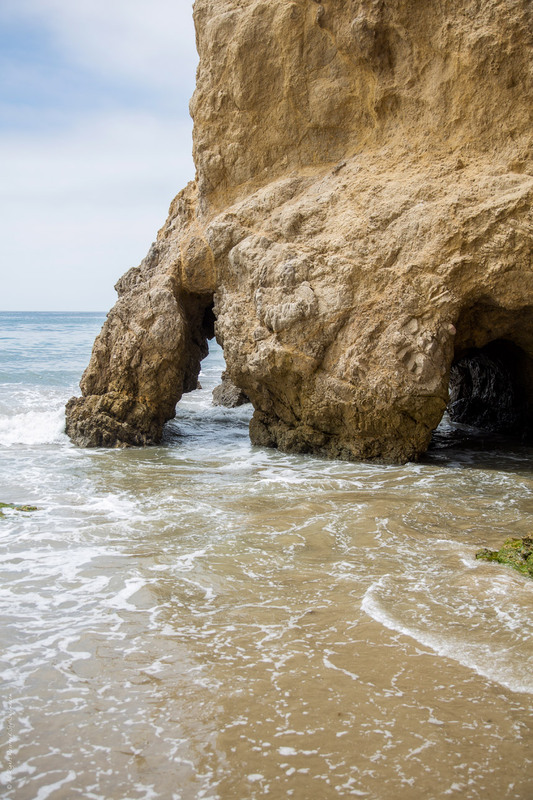 Make sure it’s low tide, so you’re able to walk down the beach and enjoy the caves. Bring food if you’re planning on relaxing on the beach. The walkway down to the beach is pretty steep so keep that in mind for older individuals. It’s not stroller or wheelchair user accessible. 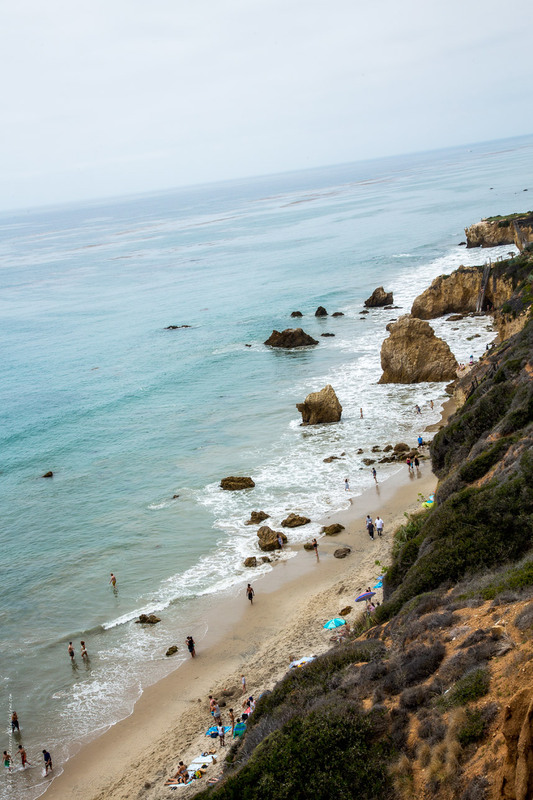 If you’ve visited El Matador Beach before, let me know! What was your favorite part! 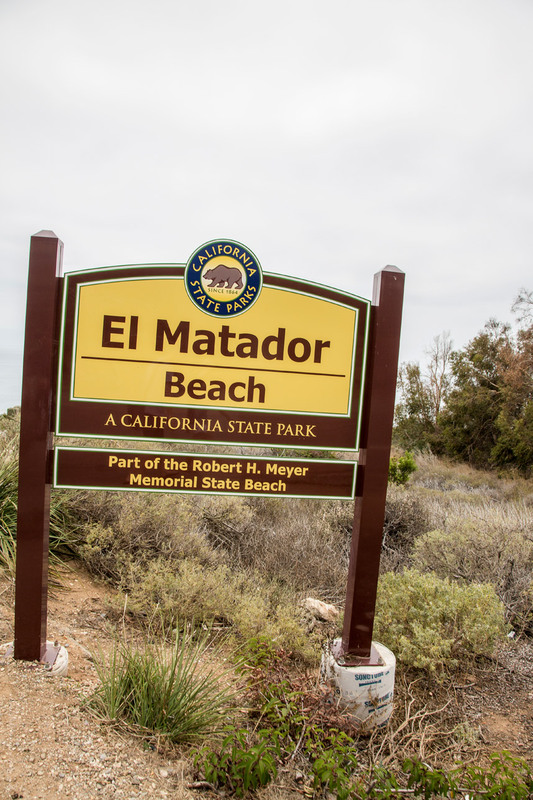 If you haven’t visited this California state beach before, but plan to in the near future, let me know if you have any other questions about it!